A beloved Sandra Boynton classic showcases redrawn art and a larger size in this Special 30th Anniversary Edition. Three singing pigs say LA LA LA! “No, no!” you say, “that isn’t right. 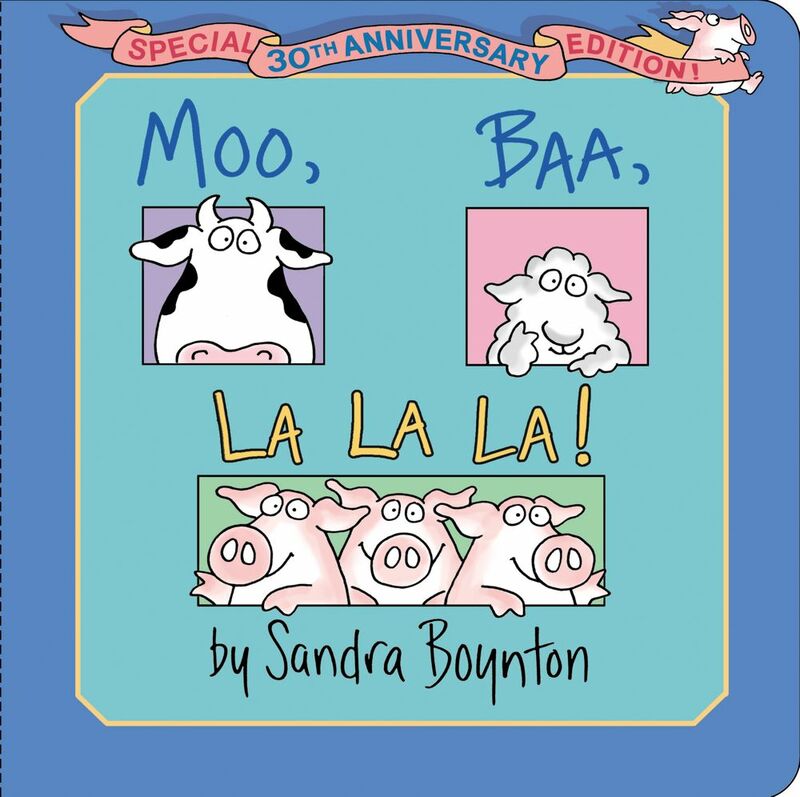 The original Moo, Baa, La La La! sold more than 3 million copies when it was first published, and thirty years later this delightful board book remains a favorite among children and parents. Complete with silly rhymes and containing redrawn art that retains all the humor and charm of the original illustrations, this book introduces children to animal sounds like only Sandra Boynton can! This anniversary edition has an enlarged trim size and metallic ink on the cover, making this timeless classic even more special.